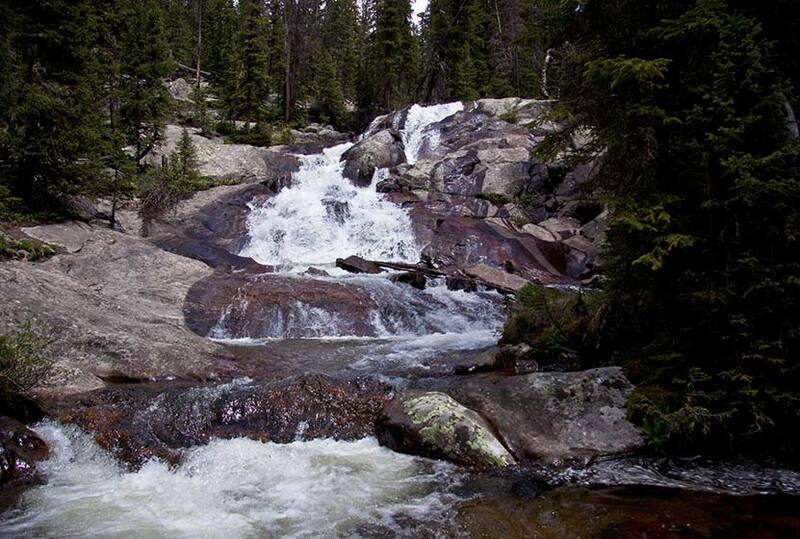 The hike to Granite Falls is a 5.1 mile journey from the Green Mountain Trailhead in Rocky Mountain National Park. At Granite Falls, the waters of Tonahutu Creek drop fifty feet through a course of smooth granite slabs. 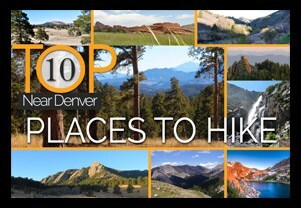 The hike offers a diverse landscape: from tranquil forests, to expansive meadows, and verdant creeksides–all alive with wildflowers and wildlife. 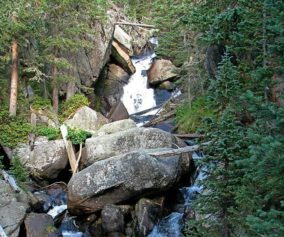 Explore the full Granite Falls hike profile below for trail map, driving directions, and more tips and details to help you enjoy this adventure in Rocky Mountain National Park. 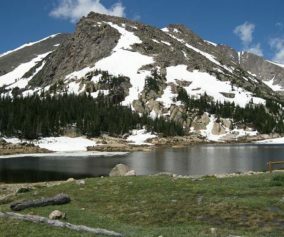 The Green Mountain Trailhead is located on the western side area of Rocky Mountain National Park, north of Grand Lake, Colorado, along Trail Ridge Road. From the Kawuneeche Visitor Center in Grand Lake, drive 3 miles north on Trail Ridge Road. The Green Mountain Trailhead will be on the right/east side of the road, and has a capacity for around 25 vehicles. The hike begins at the Green Mountain Trailhead and follows the Green Mountain Trail for 1.9 miles to Big Meadows, and encounters the first trail junction. 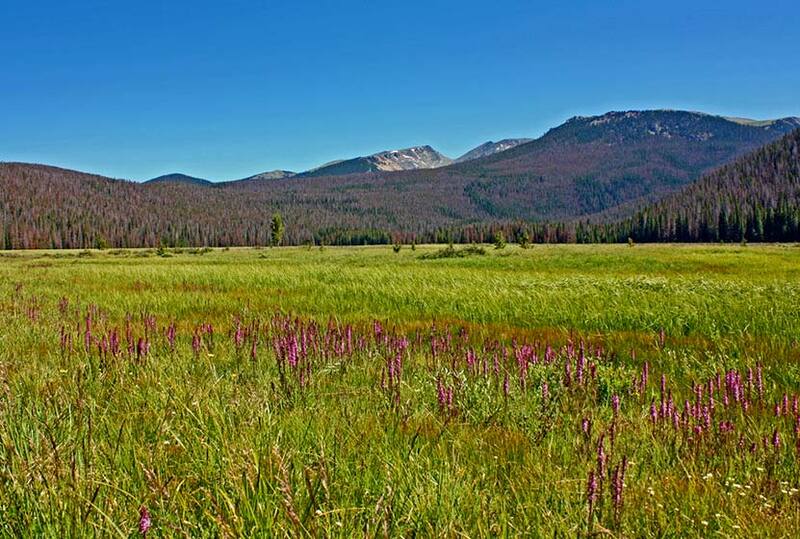 The way to Granite Falls is to take the left-hand trail for 0.7 mile that skirts the western border of Big Meadows. There is a group campsite in Big Meadows that offers some of the most spectacular views of the night sky. Moose and elk frequent this area and brook trout can be found in nearby Tonahutu Creek. At 2.6 miles, the trail meets a second trail junction. The way to Granite Falls is to go right/east on the Tonahutu trail towards Flattop Mountain. 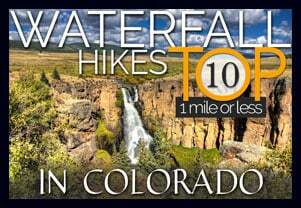 Because their is only a 1000′ elevation gain over the course of the 5.1 miles to Granite Falls, the trail only has a mild and undulating slope. After crossing two creeks, a small sign will point the way down a spur trail that leads to Granite Falls. 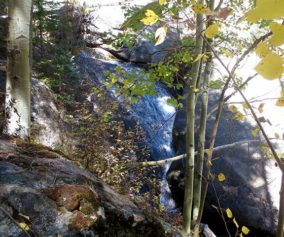 The waterfall is a series of slide cascades flowing over broad granite slabs into a pool of swirling waters. The hike back follows the same route, making this a 10.2 mile out-and-back hike. 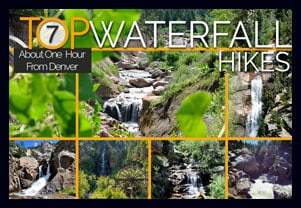 Prepare: Bring lots of water and high-energy food for this longer 10.2 mile hike. 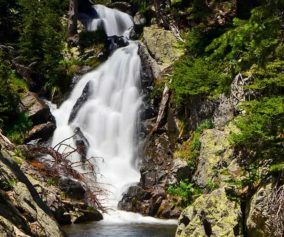 Photo: We would like to express our gratitude to Will Currier for sharing such an amazing photograph of this hike to Granite Falls in RMNP. After the Hike: Fat Cat Cafe It may be the best breakfast in Colorado!